I do not make it a habit of posting recipes on Fashion Foie Gras. In fact, I never have. 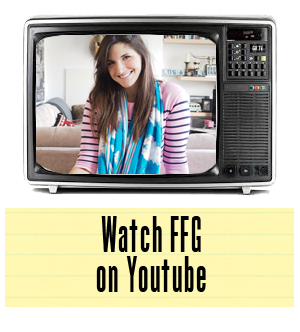 This may in fact be the only time I do so, so let's hope you find it helpful. I have lived in London for over twelve years now and have tried nearly every type of food you can imagine, from eating live ants to polishing off a double cheeseburger of such epic proportions I actually had to squeeze down to get it into my salivating gob. Food in London is just tremendous. We have some of the best chefs in the world providing culinary delights that are unparalleled. However, I do believe there is one dish that has yet to be perfected in London and that is the Lobster Roll. For the first 22 years of my life, I spent every summer in my grandparents house in Maine. Located right on the coast, nestled between York and Kennebunkport, this was a hideaway for me and my three brothers each and every summer. We'd spend lazy days on the beaches and nights on the back porch tucking into Lobster, which was cheaper back then than buying meat for cheeseburgers. We often found ourselves suffering from the old "eyes bigger than our heads" syndrome back in those days. We would have built up quite a healthy appetite from running in and out of the waves all day, and so the orders we placed were massive. Obviously there were leftovers and secretly, for all these years, what we did with the leftovers has always been my favourite part of the feast. 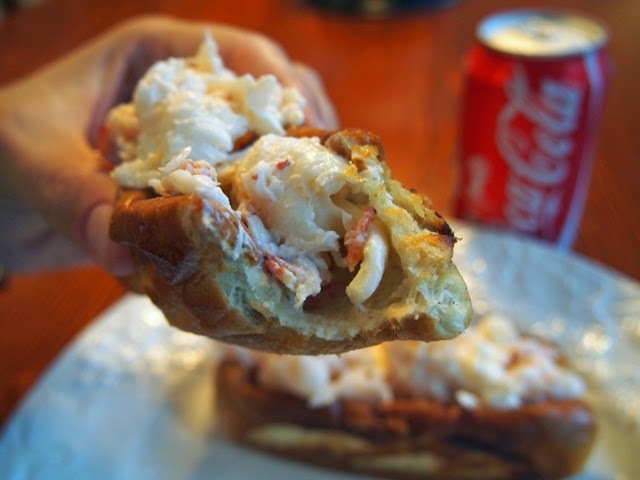 The next morning we'd wake up and take our extra lobster meat and make the most delicious lobster rolls. We used a recipe that my mother had learned from her mother, which she had learned from her mother, and so on. 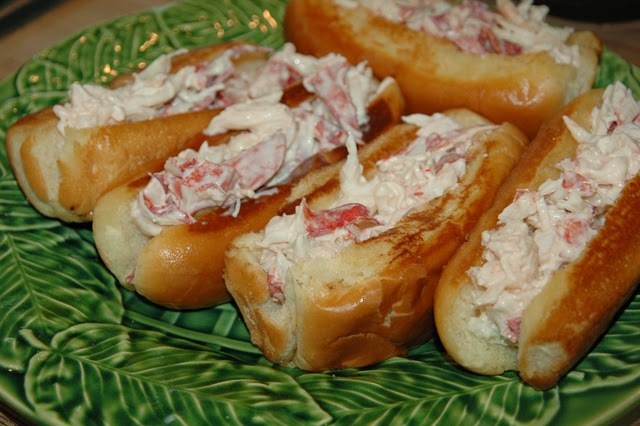 Basically, if you live in Maine you know how to make perfect Lobster Rolls. I guess it's the equivalent of knowing how to make the perfect cup of tea if you are English. 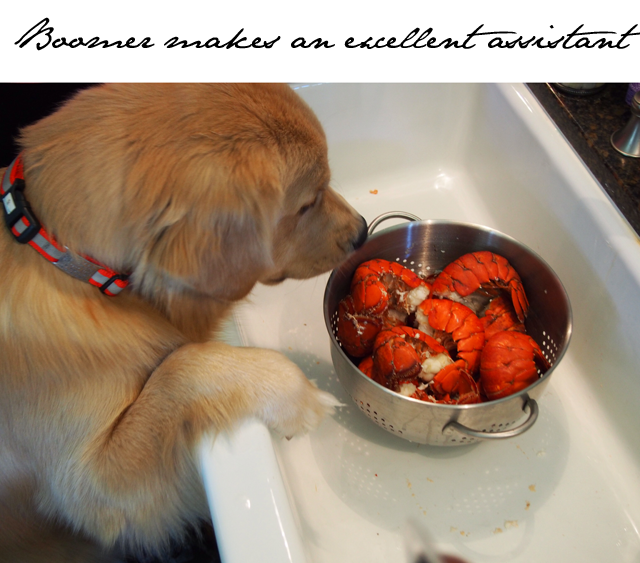 I'm currently down in South Carolina and mom and I had a craving for a taste of Maine before we head up there in a month's time. So we got on the phone and ordered up some fresh lobsters to be delivered be Fedex. Oh how times have changed from thirty years ago. Instead of sitting down for a proper Maine Lobster dinner, we thought we'd move straight to leftover mode and make some hot diggity darn perfect Lobster Rolls. And then a post idea was born. 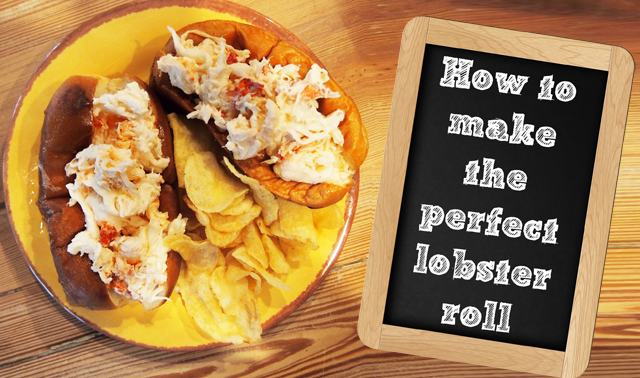 Why not tell the good people of the world how to make their own perfect Lobster Rolls? So here we go. 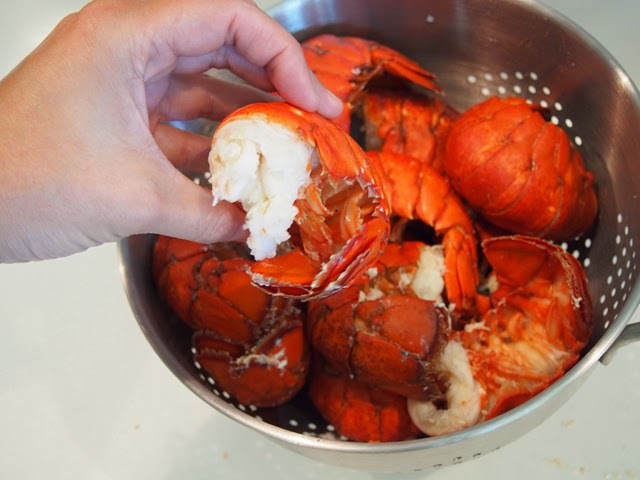 Here's your official instruction manual to make Lobster Rolls that are so good, so bad for you and so gosh darn tasty that you'll have a hard time sticking with your diet tomorrow after imagining biting into these bad boys. 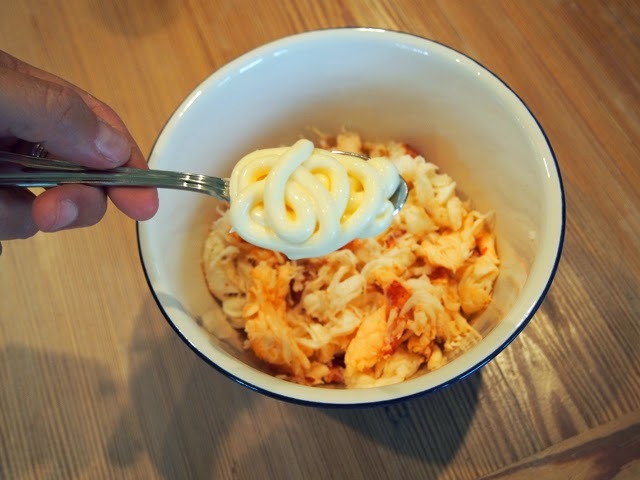 Mix Lobster and Hellman's Mayonnaise (to taste) in a large bowl. 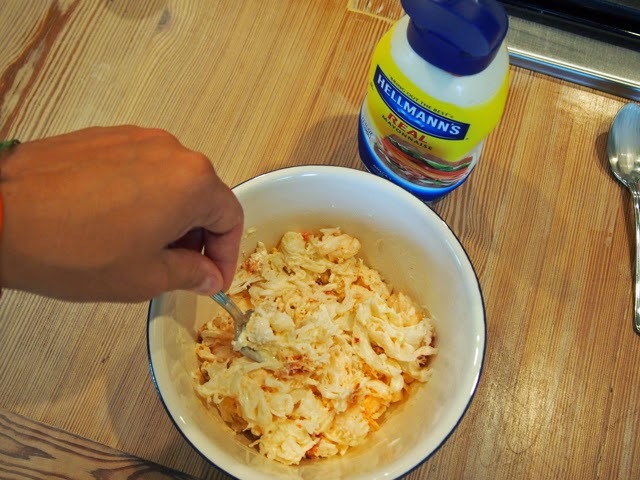 I believe to make the perfect Lobster Roll you have to use Hellman's. Call me crazy but that's just a firm belief. Add absolutely nothing else. This is all you need for your filler. It's just Lobster and mayo, people. Leave well enough alone. Place the mix in the fridge to congeal while you are preparing your buns. 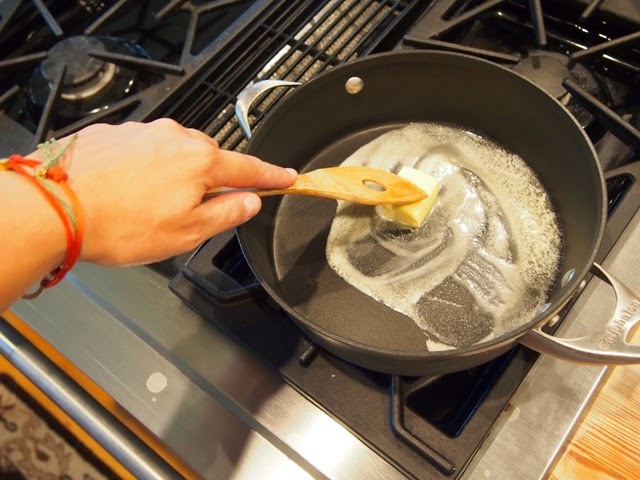 Melt a stack of butter in a frying pan. 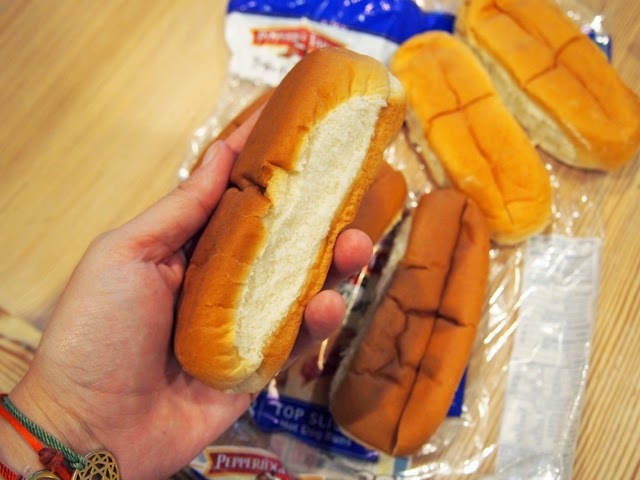 Use as much butter as you'll need to cover both sides of your hot dog buns with melted butter. 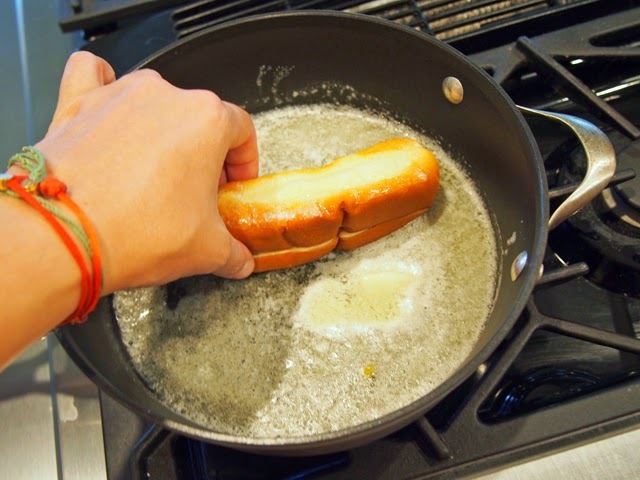 Remove your top-sliced hot dog buns from the packaging and dip each side into the pan to soak up the butter. 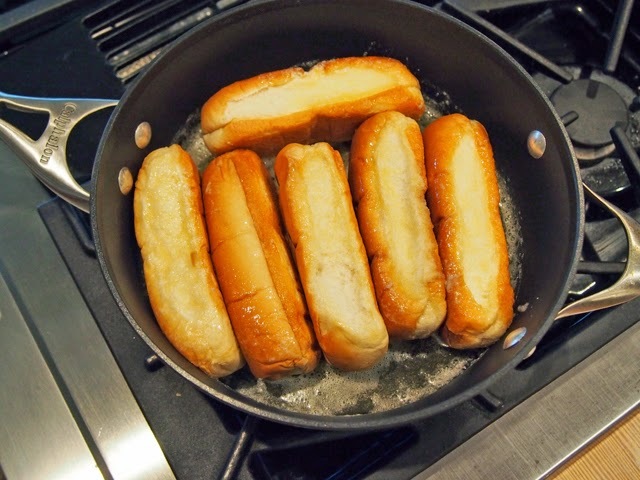 When all buns are soaked, line them up in the frying pan and grill each side until golden brown. 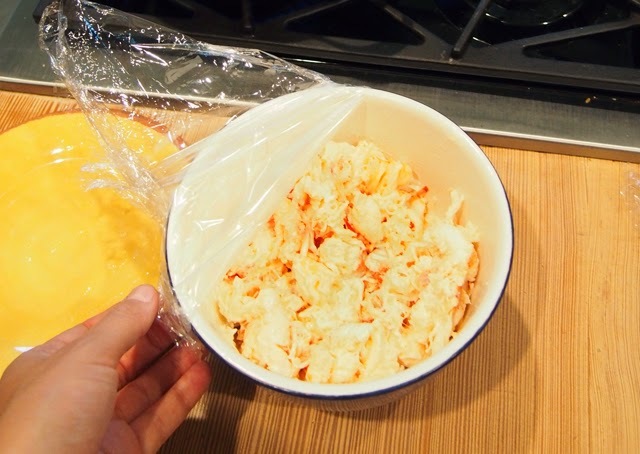 Remove Lobster and mayo mix from the fridge and fill up your buns until they're overflowing with heavenly goodness. Tuck in and keep eating until you feel like you're going to need to borrow some stretchy pants. And there you have it... your guide to making the perfect Lobster Roll. All Photos taken with the Olympus Pen E-P5.